Radio Rant: Flo Rida – Good Feeling | Ranting About Music! *Yawn* Huh? Oh, right, yeah. Sorry guys, I’m still in bed. Between Ranting About Music’s List Week, my Stack Attack project on tumblr, and the excitement that calls itself Christmas, I’m feeling pretty low energy. Radio Rant? Eh…ok. Who am I looking at? Oh, no…do I have to? Yes? Can’t I get five more minutes? Maybe it’s just because I’m half awake, but I think that Flo Rida might have an actual superpower. He’s managed to make a name and chart presence for himself despite having all the personality and charisma of store-brand knock-off Cheerios. This is the guy who had the biggest song of 2008, and I cannot remember a single line of his. “Right Round”? The only thing people remember is Ke$ha’s uncredited work on the chorus. Were it not for David Guetta and the uncredited Nicole Scherzinger (from the Pussycat Dolls), “Club Can’t Handle Me” would have been utterly forgettable. When will.i.am can upstage you on your own song, and it’s still a hit, there’s something supernatural at work. 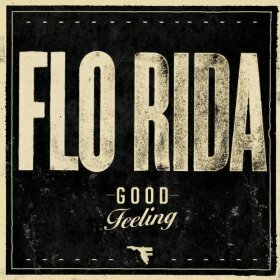 Then “Good Feeling”…well, I’m not hearing Flo Rida, nor am I hearing another uncredited woman. So, Flo Rida, where’s this sample from? Alright, let me try to explain this. The chorus and beat are sampled from the song “Levels” by Swedish DJ Avicii. Why? I don’t know, maybe producer Dr. Luke was feeling particularly lazy that day. But the thing is, “Levels” itself has a vocal sample from “Something’s Got a Hold on Me”, and that sample carried over from “Levels” and into “Good Feeling”, meaning that “Good Feeling” is essentially sampling a sample. And yes, I’m deliberately avoiding the Inception/”Yo dawg” joke here because it’s too easy. The only things that “Good Feeling” changes from “Levels”‘ club beat are removing the extraneous (and fun) synths, and adding acoustic guitar strumming over the chorus. It’s sort of danceable in the way that every Flo Rida song is. And, because it’s the laziest way to show that your song is hip and with it, the bridge throws in a dubstep style breakdown that, like most pop songs with dubstep style breakdowns, screws up the entire momentum of the song. “Good Feeling” is more or less a paint by numbers club pop song. I’m not even sure it’s meant to be taken seriously as a song; maybe it was just written as a four minute soundtrack to montages on TV, something to blare during half-time performances, and pump-up music to play in gyms across America. Not terrible, but easily forgettable. There, can I go nap now? Oh, right, Flo Rida. Sigh…lyrics, please? “I’ll be the President one day/January 1st” That’s not inauguration day, Flo. “oh, you like that gossip/Like you the one drinking what god sip dot com” I thought this was a plug for godsip.com, but since godsip.com isn’t a registered site, that isn’t the case. Yet. Oh, and “god sip” is the root of “gossip”. “The mountain top, walk on water/I got power, feel so royal” What? This is a song about Biblical lore. No, really! “Now I gotta work with your tongue” describes how God felt while working with Moses (a known stutterer and poor speaker) in the book of Exodus. “Yeah, I got a new spirit” Uh, hello, the Holy Spirit? That one’s easy. We get to Jesus himself with “The mountain top” referring to the Sermon on the Mount, and “walk on water” is too obvious. “Drill a land, never give in” highlights the Israelites’ constant struggle in the Old Testament to find and maintain the Promised Land. “That spark/that crown” calls out to Jesus again, or his ancestor King David. And the titular good feeling is Flo Rida feeling the awesome power of God revealed to him through His sacred text, and passed on to us in this song! Or, you know, his verses are inane, dull, non-sequiters put together by a hack who can’t even put a sentence together. Either way, goodnight! This entry was posted in Radio Rants and tagged club pop, Flo Rida, Good Feeling, music, pop, radio, review. Bookmark the permalink. I’m glad you caught the sampling- the first thing I heard when I listened to this song was the updated cover of “Something’s Got a Hold On Me” (http://www.youtube.com/watch?v=TZFQgqhNoEI). Despite loving that half of the sample, I completely agree that it’s forgettable. I’ve honestly forgot about its existence after each time I’ve heard it. Can’t say I see Flo Rida becoming a music staple- not that I can really say that about any particular artist anymore. Yeah, this one slips right through one ear and out the other. I don’t know, I think there are some pop names that we’ll remember in 10 years, but Flo Rida will NOT be among them.